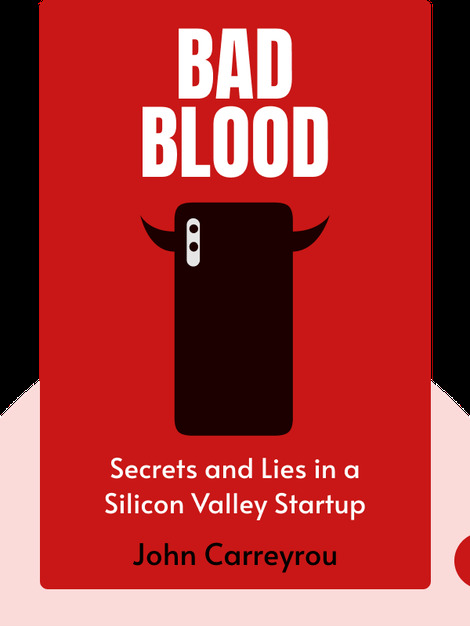 Bad Blood (2018) is the harrowing inside story of a how a tech start-up rooted in Silicon Valley’s fake-it-till-you-make-it culture risked the lives of millions with a blood-testing device that proved too good to be true. 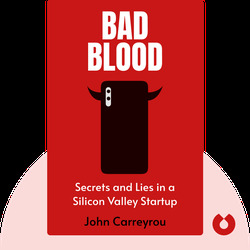 Written by Pulitzer-winning journalist John Carreyrou, who broke the story and pursued it to its end, this is the account of Theranos and its wunderkind CEO Elizabeth Holmes’ meteoric rise and epic fall from grace. John Carreyrou is an investigative journalist and recipient of two Pulitzer prizes for his articles in the Wall Street Journal. His previous scoops include reports documenting the fall of Vivendi Universal and US–French relations during the Iraq War.